Are you one of the many heading to Orlando this Pesach? There’s a website you should know about: RabbiOrlando.org. If you already visited Mickey’s part of the Sunshine State during winter break, you may likely be familiar with the site, which offers information on everything from lodging and shul information to koshering services and discounted theme park tickets. You may also have been part of a WhatsApp minyan chat facilitated by the same organizers. So who’s the driving force behind all this help? Well, there is the simple answer: the Orlando Torah Academy. 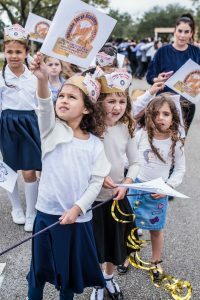 And then there is the longer back story, of a fledgling school started by dedicated bnei Torah seeking to bring Jewish values to a community that lacked a Torah education center of its own. For Rabbi Michoel Rennert, running the Rabbi Orlando site and minyan chats, and fielding the many calls, texts, and requests from tourists, has become a full-time job. When he moved to Orlando with his young family in the summer of 2014, he was ready and eager to join deans, founders, and fellow alumni of the Chofetz Chaim Yeshiva, Rabbi Avraham Wachsman and Rabbi Yehuda Schepansky in assisting and building Torah in the Orlando Community. At the time, the school had about 40 students – but no building. The school had outgrown its former home in a Conservative synagogue, but four days before school started they still had not found suitable accommodations. Rabbi Wachsman and Rabbi Schepansky ran out to buy air conditioners for the private homes that would welcome individual classes until they managed to find suitable space for the entire student body. Three days before school started, a school parent reached out to heris boss to find out if he’d rent empty space in a building he owned, to the Academy. The boss agreed, and just in the nick of time, the Orlando Torah Academy opened its doors in a building large enough to comfortably accommodate its students and staff. There was one major glitch in the plan: the building’s owner wanted to sell the property, and in the fall of 2015 he got an offer from a potential buyer that was hard to refuse. Once again, the Orlando Torah Academy was about to lose its home, and this time, it would be very difficult – if not impossible – to find equally ideal housing. The building was centrally located, enrollment had gone up to about 50 60 students – and it was still growing. Rabbi Wachsman and Rabbi Schepansky consulted with daas Torah, and did something drastic: they offered to buy the building. In late January, by which time they had raised just a fraction of the money needed, Ira Zlotowitz, founder and president of Eastern Union, visited Orlando and spent Shabbos at the Wachsmans. Rabbi Wachsman told him all about the school and the efforts to procure the building. Ira swung into action, creating a plan that included lenders and crowdfunding. Orlando Torah Academy closed on its new building on April 16th. But that wasn’t enough for Ira. In the fall of 2017, they launched the Rabbi Orlando website, liluy nishmas Ira’s father. 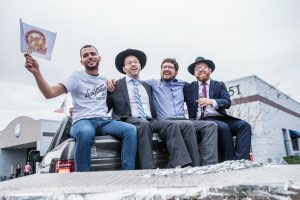 They blasted out links to the site – and invitations to join pop-up minyan chats – before the winter crowd descended upon the city. It wasn’t long before Rabbi Rennert took over its management. Some would say Rabbi Rennert is like a concierge. When people call to find out if there will be minyan in a specific development, Rabbi Rennert connects them with others seeking places to stay to make that minyan happen. Sometimes, the minyan-seeking crowds are overwhelming. On Shabbos Chanukah, there were seven minyanim in Champions Gate alone; Reunion had six minyanim. Rabbi Rennert had a better idea: he rented a villa to house the minyanim and charged a minimal fee to attendees just to cover the cost of the rental. That Shabbos, 25 men showed up for neitz; there were 130 men at the 9 A.M. minyan. Orlando Torah Academy provided the sifrei Torah along with 100 handheld Chumashim for that Shabbos. “Some people don’t think about these things until the last minute,” Rabbi Rennert says. Orlando Torah Academy has had some interesting moments with tourists. Last year, 100,000 people attended a kitchen and bath expo in Orlando; there was a large contingent of frum attendees. The owners of a large cabinet manufacturer wanted to invite their frum clients for catered kosher meals, but all the local hotel facilities were booked. 250 people ended up packing into the Academy’s lunchroom, enjoying kosher hot food which had been frozen and stored in the school’s warehouse prior to the event. “The primary language spoken those nights was Yiddish,” recalls Rabbi Rennert , who enjoys every opportunity to bring people into the school. Rabbi Rennert fields all kinds of concerns around Pesach time. Some worry about obtaining an extra fridge or freezer (rentable through the Academy). Others are concerned about the eruv. Some want to know where they can toivel keilim – and if they have to be worried about alligators in the water. In addition to help with matzah, kashering, eruvim, park tickets, tables, chairs, and extra refrigerators and freezers, Rabbi Rennert helps with villa rentals and even Chol Hamoed ideas beyond the parks, directing visitors to places like Silver Springs and Cape Carnaeveral. Is there anything Rabbi Rennert wants Pesach visitors to know? And of course, there is always the opportunity to make a kiddush Hashem by showing appreciation. “Winn Dixie puts in a huge effort to please the frum community,” Rabbi Rennert says. 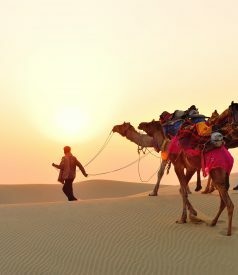 “They try very hard to keep up with the demand. You know, the first time the manager decided to order Pesach food, he placed his order Chanukah time. Pallets of food arrived, and they sat around for ages. His coworkers jokingly referred to those pallets as his graves – meaning, he was sure to be fired for pulling that stunt. That manager ended up getting an award, because sales went up 2000 percent that year.” The number of shoppers that flock to the stores add to the sales, but they can also make things stressful at times. 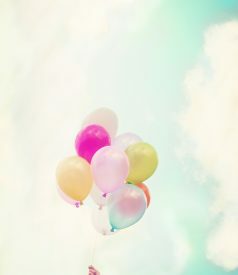 Expressing thanks to those hardworking and eager to please employees goes a long way. The school is home to almost 100 children from all different backgrounds. 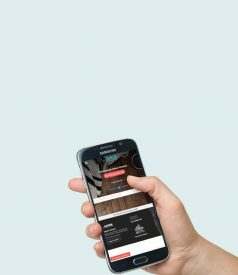 Are most visitors aware of the Academy and what it does? As the community grows, slowly but surely, Rabbi Wachsman, Rabbi Schepansky, and Rabbi Rennert glean nachas. 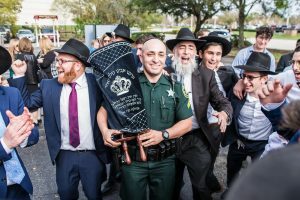 Orlando Torah Academy’s hachnasas sefer Torah, held in February of this year, was emblematic of that. The Torah was written liluy nishmas Rabbi Raphael Wachsman, zt”l, father of Rabbi Avraham Wachsman, yibodel l’chaim, the beloved founder of WITS, (Wisconsin Institute of Torah Study), in Milwaukee. 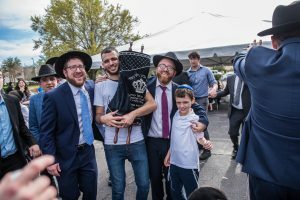 The sefer Torah, the Academy’s first, was a fitting tribute to the exemplary mechanech whose generosity, dedication, and interest in every single talmid was legendary. The Torah was sponsored by Rabbi Wachsman’s family, friends and talmidim, who span the globe and number in the thousands. 250 people attended the hachnasas sefer Torah. For someone who arrived on the scene to a tiny school that was without a home, Rabbi Rennert is amazed at the growth that continues each year.